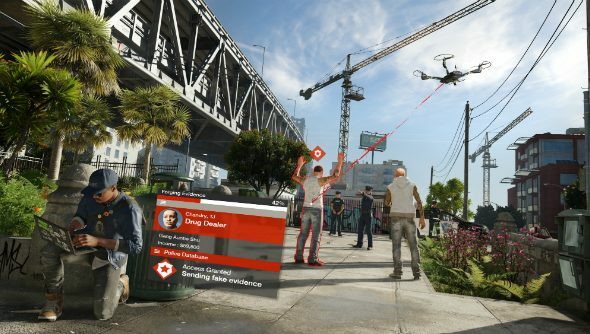 Watch Dogs 2 will resume hacking everything in sight this November 15 when the series returns, this time in sunny San Francisco. 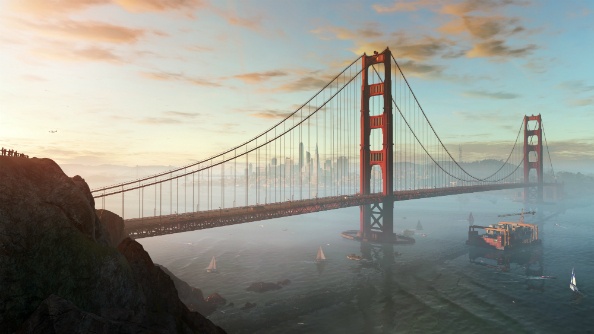 Ready to go co-op in Watch Dogs 2? Here are some of the best co-op games on PC right now to get you in the mood. As revealed on the World Premiere stream that ended seconds ago, you’ll take the persona of Marcus Holloway, rather than reprising Aiden Pearce’s role, as you become a part of the hacktivist group DedSec. 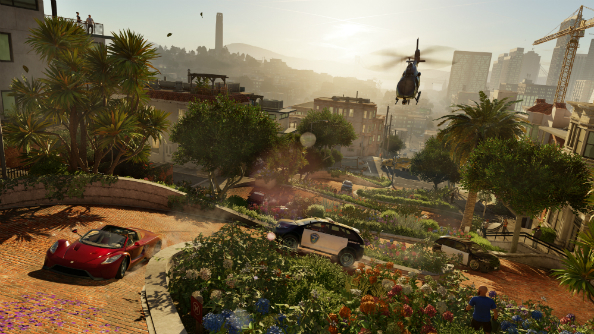 On top of the new setting and protagonist, Ubisoft spoke of improving all aspects of the game from the parkour to the hacking, with vehicles now fully controlled by hackers rather than simply shutting down or raising a forklift’s forks. The presentation also made constant references to drones which now exist all over the place and can be used to survey an area from above, hack into far away objects or even lift items. See the cinematic reveal trailer below for some more hints at what will be in the game when it releases at the end of this year. Marcus was emphasised as having his own distinct character from the comparable void of Aiden Pearce, and even has his own iconic headgear to boot. He apparently grew up through the injustices of CtOS 2.0 and now wants to shut it down as part of his hacktivist activities. Here he is starring in his own music video which he probably uploaded to Tumblr or in several Vine instalments, you know how these kids are. Ubisoft made claims that the seamless online interactions will return in the sequel, however instead of merely being invaded you will now be able to spot other players within your open world at random and begin co-op play with them. The mechanic will position both players as members of DedSec, which plays a bigger role in this game than the last as a hacktivist group of friends attempting to take down corrupt corporations. There will also be several other underground groups vying for control of certain areas, as well as corporations themselves exerting influence on the general population. 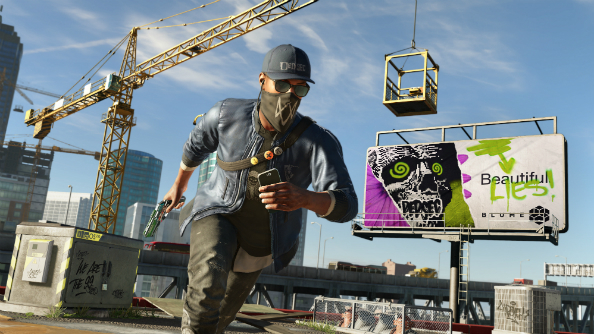 Watch Dogs 2 will be available in several collector’s editions, including the Deluxe Edition (exclusive sleeve, map of San Francisco, lithographs, in-game outfits), the Gold Edition (in-game outfits, season pass), the San Francisco Edition (in-game outfits, Zodiac Killer mission, Marcus figurine, laptop stickers, lithographs and map of San Francisco), the Return of DedSec Edition (all of the above, plus Marcus’ ICONIC hat and scarf and a 64-page artbook) and the Wrench Junior Robot Collector’s Pack (includes some sort of robot which can be remote controlled from your smartphone and says things).